With digital marketing being all the rage in 2018, marketers need to step up their game to keep up with the times. 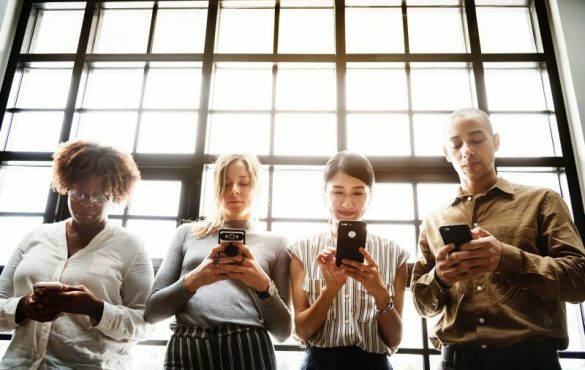 Whether it’s dabbling into new platforms or studying your target audience’s consumption habits, you need to constantly find ways to attract new followers and keep existing ones engaged. As expected, social media remains one of the best channels for brands to promote their content. Bulk of your audience has a social media profile, so why not tap into its powers to drive more traffic to your blog this coming year? In 2018, we saw brands invest heavily on all sorts of visual content. Videos dominated our feeds and memes practically became an everyday part of life. So, it makes sense to include tons of visual content in your social media strategy. And not your usual ‘been there, done that’ kind of content, but high-quality images, videos, and audio that your audience will respond to. Create a content calendar and post regularly on Instagram. Don’t forget to link your Instagram to your other social networking websites so that your posts get shared across all platforms. Want to establish yourself as an authority of your niche? Start a podcast. It’s a great way to share your expertise and grow your following at the same time. Increase your conversion rate by posting video ads on Instagram and Facebook. Make it your goal to inform, inspire, and entertain your viewers. Find creative ways to caption your video ads as many people prefer to watch them with the sound off. Evergreen content will always have a special place in your social media strategy. But “in the moment” content is becoming quite popular these days thanks to Instagram Stories. It has become one of the most popular ways for brands to keep followers in the loop since late 2016. Stories (available on Instagram and Facebook) keeps content authentic, fun, and spontaneous for content creators and content consumers. Experts believe that the demand real-time, live content will continue to rise come 2019. Boost brand recall by posting behind the scenes and slice of life content consistently. Don’t be afraid to get personal. Instead of featuring your products and services, why not focus on the people and personalities that make your brand what it is? Play around with the Stories elements like GIFs, tagging features, and filters. There are more opportunities to get creative with the Stories feature because its 24-hour lifespan doesn’t require you to stick to the style guide. Both Instagram and Facebook notify followers when you put on a live stream. Increase your reach by going live every once in a while and interacting with your audience in real-time. Your social media marketing strategy is only as good as the number of followers that you have. Even if you have amazing content, your efforts will only go to waste if you can’t use it to grow your following. You can grow your social media following by using social media marketing services like Social Noor. Or you can gain new fans and potential clients by simply being responsive to their comments and private messages. Set aside a couple of hours of your workday to respond to messages and comments. Remember, the more you respond, the more engaged your followers will be. When someone mentions your brand on social media, make sure to respond back. Be smart with your response if you want to build rapport. Look for tools that can help you keep track of your mentions on different social media platforms. This way, you don’t miss out on any opportunities to expand your audience. Compared to 10 years ago, gathering data or doing market research was tedious work. These days, all you have to do is check your social media dashboard for insights. Understanding which posts have the most engagement reveals the kind of content your followers want to see. 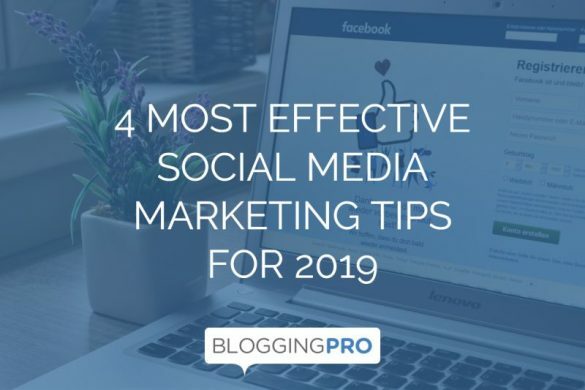 When you have the data for 2018, it will be much easier for you to align your 2019 social media strategy with your goals. Check your social media metrics every three months to see if you’re hitting your goals. This way, you can tweak your content strategy to improve reach and engagement. If you still haven’t done it yet, switch your Instagram account to a business profile. It offers you basic insights on your posts’ performance and your audience’s demographic information. Use social media analytics tools that provide an overview of your activities on different platforms. Export your data and use this to create your 2019 social media strategy. As more and more people get into social media marketing, 2019 is all about differentiating yourself from the competition. Let’s get one thing straight: expect your competitors to be following the same tips above to start off the year. You might share the exact social media strategy for your blog with others. So how do you make the most out of your social media strategy then? It’s one thing to plan and envision an effective social media plan. It’s another to apply it 24/7 on your blog. In fact, consistency in itself is a differentiating factor for your blog! Therefore, as long as you implement a rock-solid social media marketing strategy regularly, you can look forward to an exciting year ahead! Thanks for such an amazing guide on social media marketing. Social media marketing is one of the most important marketing factors which we can’t miss at all. I was searching for something like this from too long and now my search stops here. Thanks again for this website. I recently starting my own freelance blogging business. At first, I treated email like a chore and allowed about 30 minutes for it at the end of each business day. It turns out, I was missing out on numerous marketing opportunities! Now, I schedule email and messages into my day, as part of my marketing strategy. Almost every email I receive is a chance to market my brand – either by directly responding to the person or, if I’m on someone’s email list, I can share their contact with my network. I enjoy checking email and messages a lot more now that I see them as a chance to connect with my target audience. Just as you said, make time for it because it is an integral part of your marketing strategy! Thanks for the great tips!